Yesterday’s high was 64 degrees in St. Charles MO, (East Central Missouri), today’s high will be 43, cloudy, intermittent rain. Up and down highs and lows just bounce from one day to the next; one reason we have such stormy whether with threats of tornado’s so often here. Looks like rain for the next two weeks, especially on week ends. I may have to go out of state to get a round of golf in. BUT WHERE???? ARLIN REPORT THOUGHT OF THE DAY: 2018 WEATHER? On the calendar, it’s Spring. However, old Mother Nature hasn’t woke from her Winter slumber. 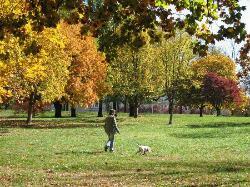 Currently (April 8) it is 35 degrees in Missouri, with a forecast of a high of 42%. Not exactly Spring temps! The golf course and fishing lakes and rivers are lurking in my patience! Maybe next week? Nope its Missouri! Yesterday the high in the St. Louis/St. Charles, MO area was 72.5 degrees. Today’s high around 43 degrees. Saturday, snow expected. Expected? That is a somewhat calculated guess in these here parts as we might say. Expected…….but not definite. Nothing is definite weather wise anywhere, but it holds especially true in “these here parts” known as Missouri. Looks like 40 degree highs and high twenty degree lows have been calculated for early next week……then a gradual creep-up the temperature gauge during the middle of the week. Next Sunday……..not this week-end but next week-end (don’t get excited) but we are back to “around” 72 degrees again. The key here for you all with allergies, the gradual climb up may be a bit easier on you than it has been. Doctor offices have an influx of people coming in with what they think are colds and even the flu………even sore throats; but its allergies in many cases and the up and down temps only makes it worse. One day its 70 and the next day its in the 40s……other than changing coat or jacket thickness all the time, it messes with your senses. So bundle up today………though in the middle of January we don’t complain about 43 degrees, feels good even; stay warm ……tomorrows another day; Spring is near. 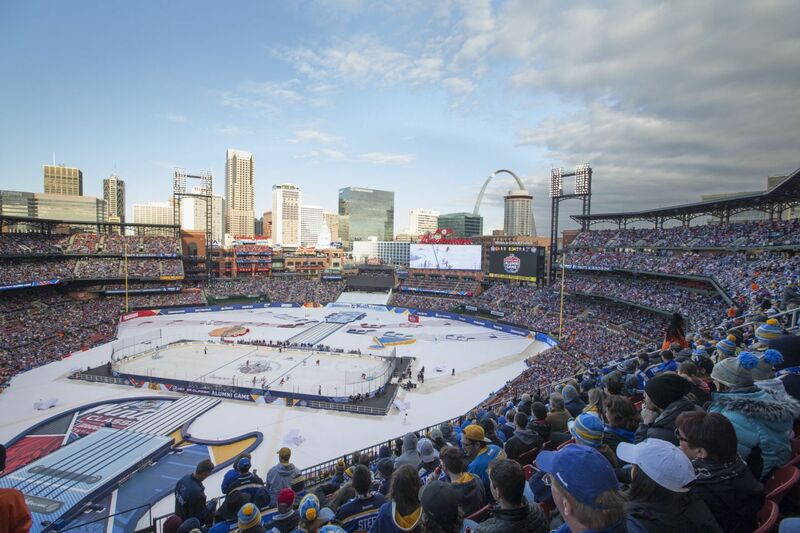 The Winter Classic is “SCHEDULED” to be played today at noon Central Time between the St. Louis Blues and the Chicago Blackhawks. Weather in Missouri is not easily predicted. We can have 20 degree temps this time of year or we can have 70 degrees. In Missouri you never know and it can change in just a few short hours. Going from 60 to 40 is not impossible within a couple of hours. Today, the threat is…….RAIN! Not snow…..RAIN! If they get this game in it will be nothing short of a little miracle. As I write this at 11:10 AM, there is a light but steady drizzle. We’ll never see this game scheduled again in St. Lou.